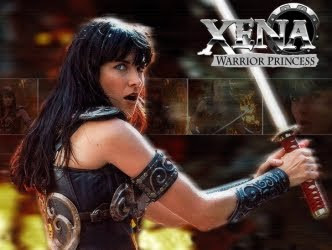 Classic mid-90s telefantasy show starring the ever-awesome Lucy Lawless as the Warrior Princess. I never watched this show at the time, so I'm catching up on it now. It's full of that wonderful innocence all those 90s adventure shows had, and is reminding me of happy hours spent watching Lois and Clark: The New Adventures of Superman as a teenager. 1.24 Is There a Doctor in the House?